We work with all clients to make sure they fully understand the methodology and the technology behind the tool. [text removed for publication] has seen a £0.8million reduction in costs and a 35% reduction in CO2 emission [S3]. Sheffield Forgemasters’ Director of Operations believes that the work has helped them to introduce initiatives that have contributed to a reduction in their CO2 emissions to 38% below the Government’s 1990 benchmark. This in turn is helping them reduce their “green” taxes which currently cost the company £1.25million per annum. Muntons PLC have used SCEnAT to identify carbon hotspots, verify their carbon footprint and develop an alternate model for cereal carbon footprinting, which have saved the company an estimated £37,000 to £50,000 in consultancy fees. In addition, the company have stated that the low carbon supply chain work has contributed to them winning new contracts worth £1.75m. Muntons were the top manufacturing company in the 2011 Sunday Times Green Competition, a position they attribute to their work with SCEnAT. Brocklesby estimate that the changes that they have made to their supply chain after using SCEnAT has resulted in direct costs savings and benefits totalling approximately £250,000. SCEnAT has been included in the Sheffield LEP’s Strategy Document 2013. In a recent letter, the Chairman of the LEP’s Low Carbon Sector explained: `we have used [Koh’s] research to design our low carbon strategy to maximise supply chain opportunities for our region which is worth 1.4% of £120 billion [the value of the Low Carbon Sector in the UK].’ The research has also informed and influenced the Sheffield Chamber of Commerce and Industry’s strategy to stimulate business and industry investment in decision making that exploits carbon reduction and efficiency improvement across the supply chain. The chamber is committed to helping local businesses reduce emissions and has promoted the research and SCEnAT to its members. National prominence has also been given to Koh’s research through its reference and inclusion in the TSBs Integrated Transport Report 2013. 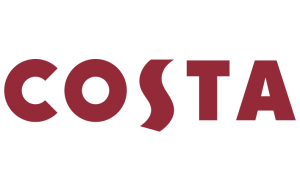 COSTA Coffee is one of the UK largest coffee beverage chains. Via SCEnATi, the company managed to map its paper-cup recycling pathways across the country. Boeing is the world’s leading aerospace company and the largest manufacturer of commercial jetliners and military aircraft, with capabilities in rotorcraft, electronic and defence systems, missiles, satellites, launch vehicles and advanced information and communication systems. Boeing employs more than 2,200 people at numerous sites across the UK and the company is experiencing solid growth. At the University of Sheffield, Boeing is working with the Advanced Manufacturing Research Centre (AMRC) to develop advanced manufacturing technologies that will help reduce the cycle time and cost of producing aerospace products while improving their quality and performance. AREC and Boeing are working together in relation to composite materials lifecycle assessment (LCA) for the Boeing dream liner 787.
International steel business Sheffield Forgemasters specialises in the production of large bespoke steelcastingsand forgings, as well as standard rolls, ingotsand bars. The company continues to supply an increasing global demand for high quality engineered products to key industries such as defence, nuclear, oil and gas exploration, power generation, marine and construction. The company takes its environmental responsibilities increasingly serious having held ISO 14001 certification since 2003. 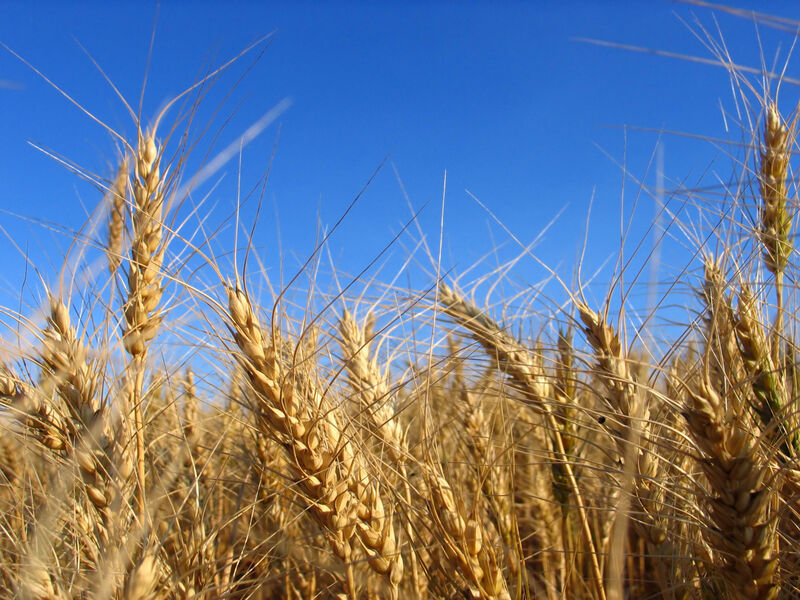 One of Britain’s biggest and best-loved bread makers has joined forces with University researchers and a leading agricultural intelligence provider, to better understand the impact its activities are having on the environment – from the plough to the plate. SCEnAT allowed the company to pinpoint where the weak points in a supply chain are and assess their impact across a range of environmental indicators. The University of Sheffield Advanced Manufacturing Research Centre with Boeing helps manufacturers of any size to become more competitive by introducing advanced techniques, technologies and processes. The AMRC specialises in carrying out world-leading research into advanced machining, manufacturing and materials, which is of practical use to industry. 100-plus industrial partners range from global giants like Boeing, Rolls-Royce, BAE Systems and Airbus to small companies. Businesses can be involved for a one-off project, or as a member for long-term collaboration. AREC is working with AMRC in relation to the manufacturing supply chain. Anthesis is a specialist and global sustainability consultancy founded on the belief that commercial success and sustainability go hand in hand. They offer a commercially-driven sustainability strategy, underpinned by technical experience and delivered by innovative collaborative teams across the world to create shared value. Sustainability is now at that exciting stage of flourishing; it has grown up and grown into the mainstream. Anthesis aim to help business go beyond compliance by integrating sustainability with their core business goals. They have deep roots in sustainability – and aim to help business thrive and prosper. They help business to reduce risk, develop resilience and embrace opportunity. They bring together pioneering “thinkers and doers” from across continents, to offer a unique combination of commercial relevance, technical depth and global reach. AREC is working with Anthesis in relation to the paper cup recycling project for Costa Coffee. Abbey Forged Products is the UK’s leading forgemaster in the oil & gas industry. With over 30 years of experience in forging, Abbey are specialists in creating bespoke products using open die and ring rolling methods. Using SCEnAT, the project team were able to identify the use of a heat recovery system as a demonstrative example of improved environmental performance and the estimated savings. Recovery Insulation Ltd is a INNO-THERM insulation manufacturer an ‘eco’ thermal/acoustic non-itch insulation made from recycled cotton/denim fibres. SCEnAT was used to compare the environmental impact of conventional rock wool insulation material and the rock wool insulation material. Olympia Electronics was founded in 1979.The company is active in developing innovative electronic safety and security systems by using state of the art technology. The Human resource of Olympia Electronics is 174 employees, with 10% in R & D dept. The company is the dominant Greek enterprise in the electronics safety and security industry. Olympia Electronics’ products are exported in 72 countries worldwide. By using SCEnAT they managed to assess the impact of the production/assembly line for an emergency light product. Briga Consulting Limited is a consultancy specializing in construction and commercial management; business growth and strategy. The company has considerable intellectual capital in terms of the knowledge and experience gained within the UK and overseas within both construction management, commercial management (that includes troubled project reviews/turnarounds) and sustainable development business strategy (with regard to the environment, the ‘Green Deal’ and project strategy on significant public private partnership contracts). AREC and Briga Consulting are working together on resource efficiency and sustainability for construction. CAS Logistics Limited (CASL) was established by a team of domain experts and passionate management with years of experience in Supply Chain Management (SCM) solutions provision. They are committed to equip logistics enterprises with solutions and assist them to achieve Logistics Industry Chain Enhancements (ICE), i.e. upgrading and reconstructing by taking advantages of electronic multi-channel fulfilment and cloud collaborative community Enterprise 2.0+. They believe all parties in the supply chain can benefit through a collaborative co-development cloud platform. CASL are committed to being the creator and supplier of leading logistics solutions through the integration of on-demand concepts. They are also committed to providing the best on-demand supply chain management solutions in the most cost-effective manner, to achieve effective system implementation with limited time and budget, providing excellent services and products to customers, and honestly realise their vision while maintaining professional ethics. AREC is working with CASL on supply chain projects. Centrica plc is an international energy and services company. Their purpose is to satisfy the changing needs of their customers in a rapidly evolving energy world. In 2015 their strategic review was founded on an analysis of market trends and sources of growth, and the capabilities and efficiency necessary to pursue them profitably. The three fundamental trends they identified and which are changing the landscape – decentralisation, shifting of power to the customer, and digitisation – are even clearer today and are playing out in line with their views at the time. There are three shifts driving change in the energy market and business: decentralisation of the energy system, customer power and digitisation. AREC is working with Centrica on energy efficiency. Costain’s purpose is to improve people’s lives by deploying technology-based engineering solutions to meet urgent national needs across the UK’s energy, water and transportation infrastructures. They deliver a broad range of innovative services across the whole life-cycle of their clients’ assets through the delivery of integrated consultancy, asset optimisation, technology and complex delivery services. They operation in the sectors: Rail, Highways, Power, Oil & Gas, Water and Nuclear. AREC is working with Costain on infrastructure supply chains. Decathlon’s main mission is to make sport accessible to as many people as they can. They would like to help, inspire and guide sports experiences. They believe that being active and discovering new sports every day is an important part of a healthy lifestyle. Being responsible is about making decisions and making sure they are acted upon. Decathlon employees are fully responsible for their decisions, both in terms of their team and their customers. Responsibility is also about anticipating the challenges facing society and orienting actions towards sustainable development. Decathlon view it as their responsibility to guarantee the safety of their customers and employees all over the world. AREC are working with Decathlon on sustainability projects. DLA Piper is a global law firm with lawyers located in more than 40 countries throughout the Americas, Europe, the Middle East, Africa and Asia Pacific, positioned to help clients with their legal needs around the world. They strive to be the leading global business law firm by delivering quality and value to their clients. They achieve this through practical and innovative legal solutions that help their clients succeed. They deliver consistent services across their platform of practices and sectors in all matters they undertake. Their clients range from multinational, Global 1000, and Fortune 500 enterprises to emerging companies developing industry-leading technologies. They include more than half of the Fortune 250 and nearly half of the FTSE 350 or their subsidiaries. They also advise governments and public sector bodies. AREC is working with DLA Piper on resource efficiency and sustainability. DS Smith are a leading provider of corrugated packaging, they are present in 37 countries, employing around 28,500 people. Their story can be traced back to the box-making businesses started in the 1940s by the Smith family in East London. They are leading the packaging sector because they understand that they need to create solutions for their customers that look at the whole, not just one part. Their cross business expertise, from design to production and supply to recycling means they can create solutions that look at the whole, not just one part. DS Smith are driven by anticipating and solving their customers’ problems better than their competitors. By using expertise from design to production and supply to recycling, they can offer high quality, innovative solutions and great service that looks at the whole of their packaging needs, not just one part. This can be referred to as Supply Cycle Thinking, it’s a unified approach for every area of the business and it makes customers’ lives easier by creating simplicity in otherwise complicated supply chains. 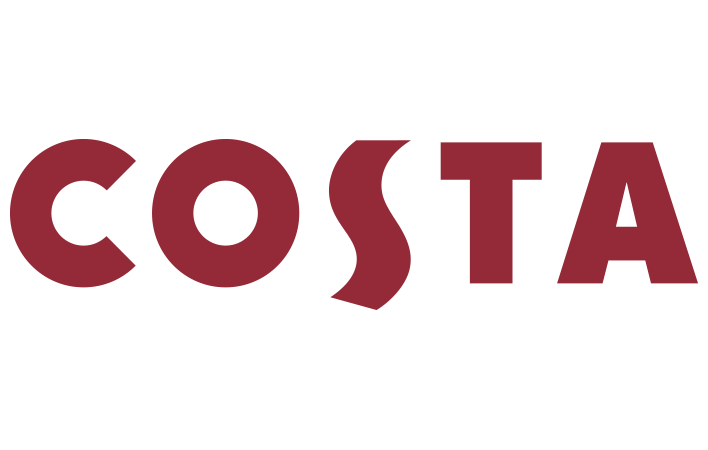 AREC are working with DS Smith on the paper cup recycling project for Costa Coffee including waste recycling. fwa help organisations of all types and size realise their business objectives by using the sustainability agenda in practical, innovative and creative ways. They work by focusing on business needs, aims and concerns, looking at them through a corporate sustainability view-finder for the connections and opportunities that will best help the business. They cut through the complexities of sustainable business to make it easily accessible, and use their knowledge and contacts to make effective links for the client. AREC is working with FWA Consulting on sustainability. IBM is a global cloud platform and cognitive solutions company, which has continually evolved over the past century to remain at the forefront of technological innovation. Their capabilities in data and analytics, cloud, mobile, social and security have helped the UK evolve to become one of the world’s most digitally advanced nations. This digital revolution empowers them and their clients to gather and analyse data in ways that have never been possible before—helping UK organisations unlock new insights and usher in a new era of cognitive business. AREC is working with IBM on Blockchain (Distributed Ledger Technology – DLT). The Institute of Materials, Minerals and Mining (IOM3) is a major UK engineering institution whose activities encompass the whole materials cycle, from exploration and extraction, through characterisation, processing, forming, finishing and application, to product recycling and land reuse. It exists to promote and develop all aspects of materials science and engineering, geology, mining and associated technologies, mineral and petroleum engineering and extraction metallurgy, as a leading authority in the worldwide materials and mining community. IOM3 was formed from the merger of the Institute of Materials and the Institution of Mining and Metallurgy in June 2002. Its roots go back to the Iron and Steel Institute which was established in 1869. It received Royal Charters in 1899 and 1975. It merged with the Institute of Packaging (2006) and the Institute of Clay Technology (2006). In the Summer of 2009 the Institute reached an agreement with the Institute of Wood Science to transfer all its members and activities to IOM3. In November 2010, IOM3 also embraced the activities and membership of the Institute of Vitreous Enamellers. AREC is working with IOM3 on material resource efficiency and sustainability. Wardell Armstrong is a professional, international environmental and engineering consultancy. With roots in mining and materials, they are now just as strong in renewable energy, waste resource management, property and development, utilities and infrastructure, sport and leisure, planning, landscape and environment. Nearly half their business is overseas. Wardell Armstrong help their clients to get the best possible financial returns – while doing things in a sustainable, responsible way. As an independent LLP, they’re owned by working shareholders and directors – with no vested interest in any particular technology or partner. That keeps them stable, in control and motivated to do the right thing. AREC are working with Wardell Armstrong on resource efficiency and sustainability. One of the world’s pioneering steel companies, Tata Steel manufactures a wide range of steel products. The company has a high reputation for its efforts to enhance its environmental sustainability and optimize its operations and for this purpose, the use of SCEnAT was a step towards achieving their mission. Microsoft has consistently transformed the way that people live, work, play and connect through great technology. They are inspired by the genuine belief that they can change the world for the better. They are involved in initiatives in the UK to equip young people for the technology-driven world of tomorrow, to help businesses expand their potential, and even solve the impossible with Microsoft Research Cambridge. They’ve been at the centre of the revolutionary changes that technology has brought to every aspect of our lives and they’ll be at the centre of tomorrow’s transformations. The best is yet to come. Microsoft is a strategic partner of AREC, working on new technologies into development such as SCEnAT suite: SCEnAT; SCEnAT+; SCEnATi; SCEnAT 4.0 (in development). MS Cloud Azure, MS Power BI, Office 365, emerging Blockchain (DLT) and AI technologies. Mitsubishi Electric is one of the world’s leading names in the manufacture and sales of electrical and electric products and systems used in a broad range of fields and applications. As a global, leading green company, they’re applying their leading-edge technologies to contribute to society and daily life around the world. The Mitsubishi Electric Group operates on the corporate principle of contributing to creating a vibrant and affluent society by enhancing its technologies, services and creative powers, as a leader in the manufacture and sales of electric and electronic equipment used in Energy and Electric Systems, Industrial Automation, Information and Communication Systems, Electronic Devices and Home Appliances. AREC is working with Mitsubishi Electric on batteries for energy storage. Nestlé is the world’s largest food and beverage company. They have more than 2000 brands ranging from global icons to local favourites, and they are present in 191 countries around the world. Nestlé’s purpose is enhancing quality of life and contributing to a healthier future. They want to help shape a better and healthier world. They also want to inspire people to live healthier lives. Nestlé have defined three overarching ambitions for 2030 which guide their work and support the achievement of the UN Sustainable Development Goals: Help 50 million children live healthier lives; Help to improve 30 million livelihoods in communities directly connected to their business activities; Strive for zero environmental impact in their operations AREC is working with Nestlé on the food supply chain, resource efficiency and sustainability. The Nuclear Advanced Manufacturing Research Centre (Nuclear AMRC) is a collaboration of academic and industrial partners from across the nuclear supply chain, with the mission of helping UK manufacturers win work at home and worldwide. Owned by the University of Sheffield and part of its world-leading advanced manufacturing innovation cluster alongside the AMRC with Boeing, Castings Technology International and AMRC Training Centre, based at the Advanced Manufacturing Park in South Yorkshire.Their applied manufacturing research is underpinned by the nuclear and materials technology expertise of The University of Manchester Dalton Nuclear Institute. Nuclear AMRC are part of the High Value Manufacturing Catapult, an alliance of seven leading manufacturing research centres backed by Innovate UK. This enables the sharing of research excellence between a national network if a particular technology falls outside their areas of expertise, they can call on their Catapult partners for the support required. The Nuclear AMRC is led by their industrial members, but companies don’t have to take full membership to take advantage of their capabilities and expertise. The manufacturing innovation capabilities and supply chain development services are open to all UK manufacturers. AREC is working with Nuclear AMRC on civil nuclear supply chains. Muntons PLC has over 90 years grown to become a significant international player in the supply of malts, malt extracts, homebrew kits for beer and wine, flours and flakes and other malted ingredients relevant to the food and drinks industry. Muntons is continuously looking at innovative ways to reduce its carbon footprint through many supply chain initiatives. Currently Muntons ranks 20th in the Sunday Times Best Green Companies List and has ISO14001 certification for environmental management. Since 1999 Muntons has consistently outperformed its Climate Change emissions targets set by Government and has a strong recognition that low carbon working practices have social, economic and environmental benefits. DBL Logistics has more than 25 years’ experience in delivering expertise for businesses. The bulk of their goods are sourced from a single site in Lichfield, England and distributed to customers around the Sheffield area. Modelling the supply chain of the company delivering their average warehouse capacity of 208 tonnes to their main customers in the South Yorkshire region using SCEnAT. EMS is a manufacturing/energy services company that designs and manufactures the Star Range of energy saving solutions. These technologies are engineered to reduce buildings energy consumption and save on electricity costs whilst lowering impact on the environment. SCEnAT was used to identify and quantify their carbon hotspots in the supply chain. The technologies produced save companies on average 10% of their electricity consumption. SIERVOPLAST is an Italian SME, with headquarters and factory in Naples, operating mainly in the sector of furniture and upholstery. The core business is the processing of polyurethane foam for the realization of mattresses, pillows, sofas and chairs for various sectors. By using SCEnAT, the company managed to assess and optimize the energy required to produce mattresses. Maxtris is one of the leading company in the Italian confectionery industry, specialized in the production of confetti, a candy made of toasted almond covered by sugar, sold with the brand Maxtris. Via SCEnAT, the company managed to understand its true environmental impact as well as energy consumption and take corrective measures to ensure optimization of their production systems. Innovate UK is part of UK Research and Innovation, a non-departmental public body funded by a grant-in-aid from the UK government. Innovate UK works with people, companies and partner organisations to find and drive the science and technology innovations that will grow the UK economy. They drive growth by working with companies to de-risk, enable and support innovation. AREC is working with KTN Manufacturing, engaging with companies in the manufacturing industry. The Minor Metals Trade Association (MMTA) is a not-for-profit organisation, which serves to benefit and promote the interests of its international Membership, comprising companies actively involved in all aspects of the international minor metals sector.The MMTA is the world’s largest association involved with minor metals. From just 19 founding Members, the MMTA is now comprised of companies from across the globe, engaged in all aspects of minor metals activity, the Association having long since broadened from its original Member base of trading companies.Members of the MMTA are part of a group of like-minded consumers, producers, traders and service companies, who all share an interest in the minor metals industry in all its forms. The MMTA works together with and on behalf of its diverse Membership, to inform on such issues as legislative and regulatory changes, as well as conveying the concerns and suggestions of the Membership to those responsible for setting policy. They are able to do this through involvement in many groups and networks across different areas – Critical Raw Materials policy, Chemicals Regulation, Conflict Minerals legislation, strategies for industrial development and security of supply. AREC is working with MMTA on materials resource efficiency and sustainability. An innovation and transformation consultancy, they believe in the power of ingenuity to build a positive human future in a technology-driven world. As strategies, technologies and innovation collide, they turn complexity into opportunity. Their diverse teams of experts combine innovative thinking and breakthrough technologies to progress further, faster. Their clients adapt and transform, and together they achieve enduring results.They comprise of over 2,600 specialists in consumer, defence and security, energy and utilities, financial services, government, healthcare, life sciences, manufacturing, and transport, travel and logistics. They operate globally from offices across the Americas, Europe, the Nordics and the Gulf. AREC is working with the PA Consulting Group on resource efficiency and sustainability projects. The Panalpina Group is one of the world’s leading providers of supply chain solutions. The company combines its core products – Air Freight, Ocean Freight, and Logistics and Manufacturing – to deliver globally integrated, tailor-made end-to-end solutions for twelve core industries. Drawing on in-depth industry know-how and customized IT systems, Panalpina manages the needs of its customers’ supply chains, no matter how demanding they might be. Energy and Project Solutions is a specialized service for the energy and capital projects sector. The Panalpina Group operates a global network with some 500 offices in around 70 countries, and it works with partner companies in another 100 countries. Panalpina employs approximately 14,000 people worldwide who deliver a comprehensive service to the highest quality standards – wherever and whenever. AREC is working with Panalpina on the aviation services supply chain including logistics. The Paper Cup Recovery and Recycling Group (PCRRG) exists to develop collection and recycling opportunities for paper cups and identify and support solutions that sustainably transform used paper cups into a valuable resource. The PCRRG helps to increase the recognition that used paper cups can provide high quality material to the market place and that there is a need to ensure that it is captured effectively for use elsewhere in the paper supply chain. The PCRRG is made up of pioneering organisations from across the paper cup supply chain, including: paper cup manufacturers; retailers; recycling and waste management companies and paper reprocessers. AREC is working with PCRRG on the paper cup recyclability project for Costa Coffee. Primetals Technologies have a decade-long history of promoting innovation for the steel industry. Continually pioneering new solutions to provide metals producers with cutting-edge, custom-tailored plant equipment. Their latest focus areas include new ecological solutions, the digitalization of all production-related processes, advanced automation as summed up by the term “Industry 4.0”, future-oriented designs for linked casting and rolling, as well as advanced process analysis and optimization. The R&D efforts that Primetals Technologies makes today are a direct continuation of the company’s technological legacy. While their engineers are constantly working to refine their many proven solutions, they are simultaneously pioneering new production methods to facilitate persistent progress within the metals industry. AREC is working with Primetals Technologies on metals LCA supply chains. Puratos is an international group offering a full range of innovative products, raw materials and application expertise to the bakery, patisserie and chocolate sectors. Their headquarters are just outside Brussels (Belgium), where the company was founded in 1919. Almost a century later, their products and services are available in over 100 countries around the world and, in many cases, are produced by their network of local subsidiaries. They aim to be ‘reliable partners in innovation’, helping customers around the world to deliver nutritious and tasty food to their local communities.AREC is working with Puratos on food supply chain sustainability. The South-East European Research Centre (SEERC) is an overseas research centre of the University of Sheffield, established as a non-profit legal entity in Thessaloniki, Greece. The centre was founded by City College, the University’s International Faculty, in 2003. It is conducting multidisciplinary research in the fields of Enterprise, Innovation & Development, Information & Communication Technologies, and Society & Human Development. SEERC’s mission is to support the stable and peaceful development of South-East Europe by conducting pure and applied research in and for the region. To accomplish this, SEERC will employ the existing research capacities of the University of Sheffield and CITY College by facilitating collaborations between their research staff and by developing multi-disciplinary networks of researchers from across South-East Europe.SEERC are the hosts of AREC Europe. Jaguar Land Rover Limited is a British multinational automotive company with its headquarters in Whitley, Coventry, United Kingdom. Its principal activity is the design, development, manufacture and sale of vehicles bearing the Jaguar and Land Rover (including Range Rover) marques.JLR used SCEnAT in order to assess its operational life-cycle. Rolls-Royce Limited is a British car-manufacturing and, later, aero-engine manufacturing company. In addition to the company’s reputation for superior engineering quality which has led to its reputation as the “best car in the world”, Rolls-Royce Limited was known for manufacturing the high-powered “R” engines responsible for land and air speed records as well as successful performances in automobile racing. Rolls-Royce used SCEnAT in order to assess its operational life-cycle. Siemens is a global powerhouse focusing on the areas of electrification, automation and digitalization. One of the world’s largest producers of energy-efficient, resource-saving technologies, Siemens is a leading supplier of systems for power generation and transmission as well as medical diagnosis. In infrastructure and industry solutions the company plays a pioneering role. Siemens’ technical expertise, comprehensive portfolio and long-standing experience are helping to pioneer a sustainable future across the globe. For more than 170 years, the name Siemens has been synonymous with internationality and worldwide presence. Siemens is a global powerhouse positioned along the electrification value chain – from power generation, transmission and distribution to smart grid solutions and the efficient application of electrical energy – as well as in the areas of medical imaging and laboratory diagnostics. AREC is working with Siemens on supply chain sustainability. Energy – they offer hydro, solar, geothermal and wind power generation facilities in the renewables space, as well as thermal and nuclear power generation systems. Social Infrastructure – they offer: systems and solutions for water supply and sewerage, highways, disaster prevention, broadcasting, telecommunications, security and automation; energy-saving, eco-friendly solutions for elevators & escalators, air-conditioners, and lighting offering higher comfort; high value-added systems and solutions for railways, motors & inverters, rechargeable batteries and automotive devices; retail & printing solutions to support businesses for stores, logistics and offices. Electronic Devices – they focus on the power devices that control equipment power consumption. Their system LSI business offers ICs for IoT, automotive, communications and power supply applications. In the HDD business, they lead the way in large capacity enterprise HDDs for data centres and servers. Digital Solutions – Toshiba are using their expertise in the social infrastructure business and manufacturing with their latest advances in IoT and AI to co-create new value propositions with their customers and society. AREC is working with Toshiba on energy efficiency and sustainability. Unilever’s mission is to meet everyday needs for nutrition, home hygiene and personal care with brands that help people feel good, look good and get more out of life.Two global headquarters exist: London and Rotterdam in the Netherlands. There are three global research facilities at Port Sunlight, Colworth and Leeds, as well as manufacturing sites and distribution depots around the UK. Unilever go to great lengths to ensure that they build on and maintain the trust between their business and the people who buy their products. They believe that this trust is earned through the way they care about and contribute to the society – and not just through the benefits the products deliver. Through employee volunteering, community work and charitable donations, Unilever contribute around £8 million to projects in the UK, including pioneering initiatives in sustainable development, education, the arts, and nutrition and health. AREC is working with Unilever on the food supply chain, sustainability and resource efficiency. The Volkswagen Group is one of the world’s leading manufacturers of automobiles and commercial vehicles and the largest carmaker in Europe. With its future programme “TOGETHER-Strategy 2025” the Group is laying the foundations for becoming a global leader of sustainable mobility. Volkswagen want to deliver mobility for everyone around the world whilst minimising the impact on the environment. For Volkswagen, environmental protection is all about the full life cycle, they develop their products and services in the most environmentally compatible way possible: Volkswagen fosters strategic partnerships with suppliers in order to drive forward innovations that help protect the environment; They are launching one of the most comprehensive electrification offensives in the automobile industry to deliver electric vehicles for everyone. That means fascinating new products and reduced CO2 emissions during the use phase; Volkswagen is also working on new CO2-neutral fuel; Through their new Moia brand they are developing smart, environmentally compatible mobility concepts; Recycling is a major topic for Volkswagen – not least when it comes to re-commissioning car batteries or recycling and reutilizing valuable materials. AREC is working with Volkswagen on future automotive. Bridon International is a specialist in the manufacture of wire and rope. Bridon was originally formed in 1924 from an amalgamation of wire rope manufacturers, the earliest of which date back to the late 18th Century. Bridon is now a major supplier to key industries throughout the world, and operates nine manufacturing units worldwide, with market focused technical and sales offices, supported by a global network of agents and distributors. Bridon is part of Melrose PLC, a specialist manufacturing investor listed on the London Stock Exchange. 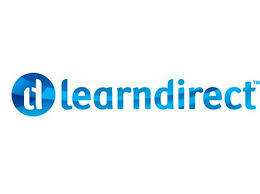 Learn Direct is a training provider offering distance learning and online courses in a range of subjects. SCEnAT was used to model the lifecycle emissions for Learndirect to run the operations of their office, expressed in terms of emissions per m2 of floor area. DB Schenker is one of the leading providers of integrated logistics solutions on a global scale. The Polish branch of the global company – Schenker Sp. z o.o. offers a full range of integrated logistics solutions using all the modes of transport, warehousing and new technologies. It leads dedicated projects for companies from different branches, e.g. electronics, machinery, FMCG, chemistry.The company utilized SCEnAT in order to optimize its fuel consumption. FALP SRL is a mechanical engineering company located in Naples (Italy), operating in the field of the sheet metal processing.In particular, it produces metal elements for civil and industrial building, aimed at protecting them from atmospheric agents and ensuring the correct water and fumes outflows. By using SCEnAT they managed to optimize the production of pipes. Severn Trent was formed in 1974 as a regional, state-owned water authority based in Birmingham and responsible for water management and supply, and waste water treatment and disposal, in the catchment areas of two of Britain’s largest rivers – the Severn and the Trent. It was from these rivers that they took their name. In the Local environment Severn Trent want their activities to protect and enhance the rivers, lakes and streams across the region. The objective is to protect the local environment. Only 30% of the rivers in their region are at a good ecological status. There is more to do to meet future environmental standards, but at an affordable price. To achieve the new standards Severn Trent need to keep maintaining and improving their waste water treatment works. They also need to make changes to how much water is taken from the environment and reduce pollution. These changes will ensure that rivers and waterways can support a greater diversity of wildlife and plants, provider a better environment for walking and fishing and supply us with cleaner water. How Severn Trent operates – from the energy they use to how they manage their waste – affects the wider environment. Their objective is to protect the wider environment. AREC are working with Severn Trent on water efficiency and sustainability. When Microsoft Azure launched in 2010, offering a Platform as a Service (PaaS) solution that enabled developers to build and deploy cloud based software it caught the attention of founder Carlos Oliveira, at the time working as a Technical Architect within Investment Banking. Seeing the potential in the new platform he left his career and formed the company in July 2010. Shaping Cloud began to rapidly build a reputation for delivering innovative solutions on Azure, their work with the University of Sheffield on carbon emissions in the supply chain being one of the first Azure case studies on the Microsoft site. That heritage continues today and they are proud of how many business and other Microsoft partners they have helped over the years. Shaping Cloud have worked in partnership with Microsoft on initiatives for the likes of the BBC, Harper Collins, Oxford University Press, Thompson Reuters and Red Bull. Their innovative software has enabled those organisations to harness the Microsoft Cloud to deliver better experiences to their clients and their staff. AREC is working with Shaping Cloud on Tools development. Sheffield City Council’s vision is to be amongst the best performing Councils, providing the best quality services in the Country. It will work in active partnership with the community to create a successful Sheffield with a good quality of life for all its inhabitants. 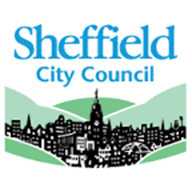 AREC is working with Sheffield City Council on green sustainability policy and strategy. Sheffield City Region has a diverse and super-connected economy comprising a dynamic core city, thriving towns and market towns, fabulous countryside and a significant rural economy. With an economic output of more than £31 billion pounds per year, 68,000 businesses and world-class specialisms in advanced manufacturing the city region is at the forefront of innovation and a major driver of economic growth. AREC has a sustainability partnership with Sheffield City Region, driving the low carbon sector for the region. Skanska, established in 1887, is one of the world’s leading project development and construction groups. The UK operation is one of the country’s top contractors. Skanska, one of the UK’s leading contractors, is an inclusive and responsible business that is helping to build for a better society. Known for major projects, such as the Gherkin and Crossrail, they are building, upgrading and maintaining the country’s infrastructure. Drawing on their Scandinavian heritage, they are green, innovative and progressive. They bring together people and technology, as part of their quest to make construction a safer and more collaborative industry. Operating around the world in selected home markets in Europe and the US, Skanska is headquartered in Sweden’s capital city. In all their home markets, they are well positioned to deliver the sustainable solutions that customers and societies need, today and in the future. Skanksa take an active role in developing society, working with customers, politicians and other stakeholders to continually improve standards in safety, green, ethics, diversity and inclusion, and community investment. AREC is working with Skanska on resource efficiency and supply chain sustainability.